They say eyes are the window to the soul, so if there's one beauty feature worth enhancing, it's your eyes. Many women I know are afraid to let anyone near their brows and lashes due to past disasters. Having been through several brow casualties myself, I thought I'd share the details of my personal brow & lash guru, Dee of Studio D. I'm not alone in my opinion of her - I've lost track of the number of friends and family I've sent her way who have become regular customers. 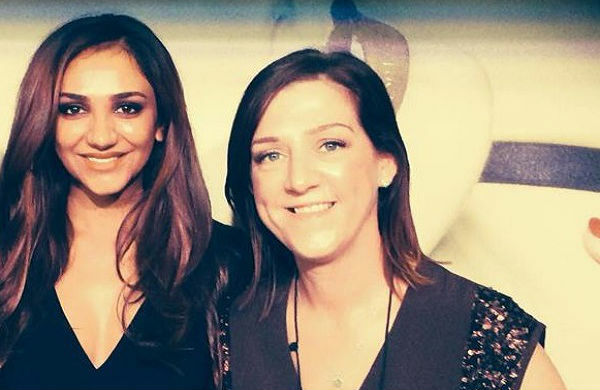 Taught by the best in the business - Dee (Dee is on the right in the image below) was one of the first Northern Ireland girls to be trained here by Nilam Patel (left), the founder and original brow queen for HD Brows. She LOVES what she does and is so passionate about her work that I decided to pay her a visit and find out what all this HD Brow hype is about. 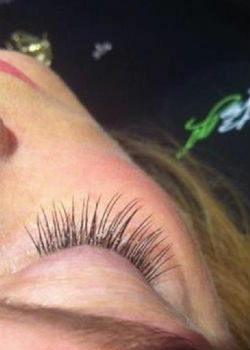 They are the end result of a combination of treatments including threading, waxing, tweezing and tinting. The treatments are customised for each individual with the aim of 'designing' the client's brows according to any number of things such as bone structure, face shape, eye colour, age, style etc. HD brows are about truly recognising that there is no 'one size fits all' when it comes to eyebrow shape. I'm not gonna lie - on my first visit to Studio D, I was a little nervous. This was to be my first experience of HD Brows so I wasn't quite sure what to expect. Dee illustrated to me how well brows can frame not only the eyes, but the entire face - and also how lashes can bring eyes to life. An in-depth consultation led to a naturally defined brow that I was 100% happy with. Dee showed me pictures of brows on similar face shapes to mine and we discussed which style would relate best to my features and the kind of look I wanted. She worked out the correct proportions for my brows before tinting, threading, waxing and tweezing them into the perfect shape, which she continued to groom each month until they were perfect. This process usually takes 2-3 visits for the best results - and a year later, I'm still visiting regularly! I've also had an LVL lash treatment with Dee - aka a 'wonderbra' for lashes that makes them look freshly curled and lifted for up to six weeks. One of my other favourite treatments is Lets Go Lashes - semi permanent lash extensions that come in a range of styles, from natural to full on glamour, to create a wide-eyed, full-lash look that requires no mascara or maintenance for around two weeks. While HD Brows are one of Dee’s specialities, other Studio D treatments I'd recommend include Gelish nails, Minimi body wraps, Lycon Hot Waxing and, coming soon, Bio Sculpture Nails. "I always get my facial and massage done by Chelle at Bliss Dromore. She has magic hands!" As a brow perfectionist - who do you trust to let loose on your own brows?! "No-one... I do my own brows! I also do my own Gelish nails" Which Studio D beauty treatments are the most popular with clients? "The most popular treatment I offer is HD Brows, followed by LVL Lashes, however I expect to see a growth in nails once I introduce Bio Sculpture in the next couple of months." What is Bio Sculpture? "Bio Sculpture Gel is an advanced nail treatment with a flexible, glossy colour finish, that lasts for up to three weeks. This treatment is used to sculpt, lengthen and enhance natural nails." 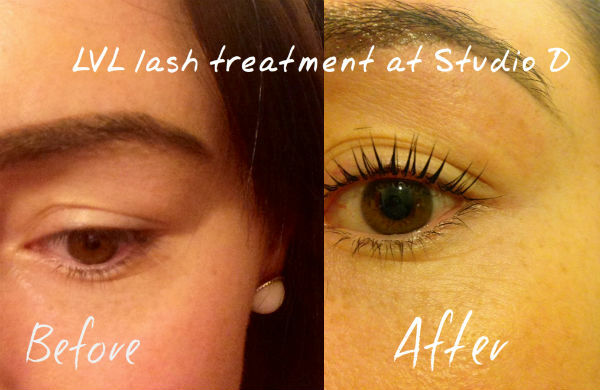 More Information Studio D Facebook Page: https://www.facebook.com/StudioDBelfast Studio D Twitter Page: https://twitter.com/_Studio_D Before and after image by blogger Danielle of www.theyellowestdiamonds.com after her LVL treatment at Studio D Have you tried HD brows? Let us know! @Groupon_UK #grouponguide #Belfast ____ Click here to see our Belfast hair removal deals.